Purchase: Available in the UK on Amazon. Review: Oh, now this one is a good one! 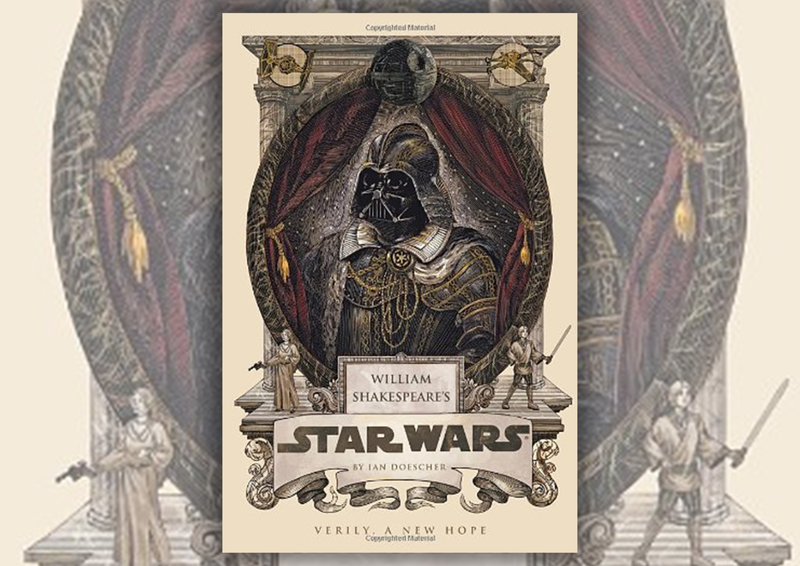 This is one for the other Star Wars fans out there – it is a retelling of the Star Wars films in script form, also in the style of William Shakespeare. It is a really humorous read and great to see a different perspective of the films which is all in script format. I would highly recommend these books, as they come in a set (which now you can purchase the Box Set which has a pretty beautiful illustration all along it), especially for a Star Wars fan. A great early christmas gift idea, there? If you wanted to take this book even further, you can even act out the script yourself! Especially as the new Star Wars movie is coming out this year! I cannot wait! WHERE AM I NOW? WHAT AM I DOING?